Content marketing is at the forefront of marketers’ agendas. To reach and grow your audience, you need thoughtful content and engaging experiences that offer actionable insights and real value. But initiatives with great potential often get dismissed because they can't demonstrate hard dollar ROI. 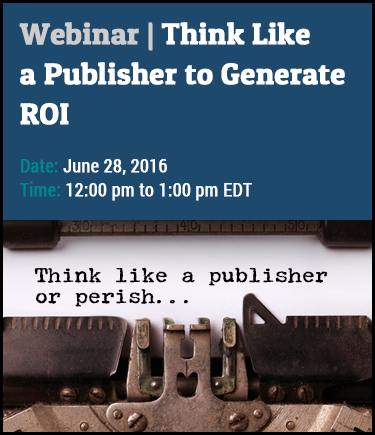 Inbound Journalism asks you to "think like a publisher" to achieve a sustainable market presence. This methodology builds lead generation into content, enabling you to demonstrate measurable results. The Inbound Journalism framework turns your thought leadership into purposeful, process-driven content publishing, enabling you to demonstrate measurable results most important to your stakeholders and your peers in the C-suite – traffic, leads and sales. A big, "North Star" idea. Thought leadership; develop a pioneering concept; what’s the driving purpose? How do you connect to your buyer personas? A journalism-based editorial strategy that connects with buyers. Make the content significant, interesting and relevant to identified personas. Marketing Automation: Use of a closed loop strategy as described above to achieve business goals. A sustainable publishing process to promote efforts and grow audience. Sales team training and technology enablement. A plan for demand generation and an ROI Model to evaluate the business case. Keith Reynolds is a speaker, writer and Vice President and Sr. Marketing advisor at Austin Lawrence, a high-tech marketing agency with a results-oriented approach to b2b lead generation it calls "Inbound Journalism." 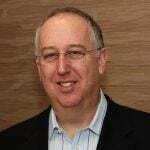 Check out Chief Packaging Officer, Financial Tracking and TVEyes. These are not just websites; they are strategic media campaigns employing the principles of Inbound Journalism that generate thousands of qualified leads with integrated content offers, webinars, PR, promotions, social media, live events, email campaigns and sales enablement training, all of which are tied to achieving clients’ overarching ROI goals. Austin Lawrence also provides strategy, consulting and training to help clients quickly develop their own Inbound Journalism programs, and develops a variety of media to engage C-level audiences.